My friends and I have been pretty lucky over the years, with the passage of time and all the changes it can bring. We've said goodbye to parents, and favorite pets, but never one of our own. That changed earlier this month, when we lost our friend Bill Kuhlman to cancer. 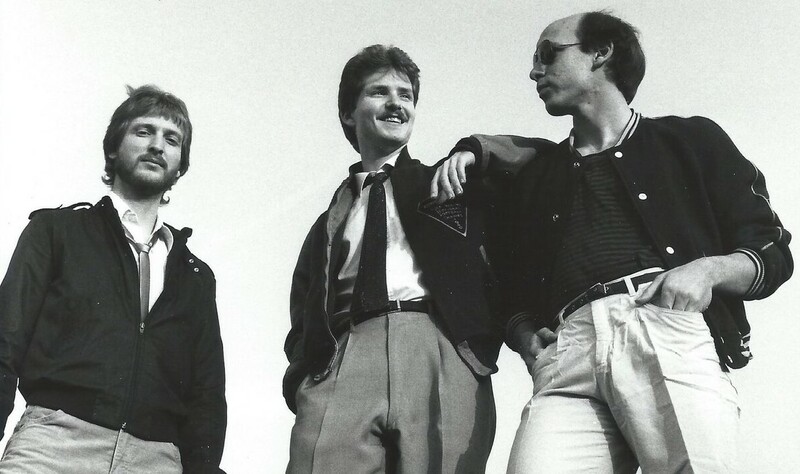 My best friend from high school, we founded Loose Ties together with drummer Chris Peeler, and moved to Boston en masse from Ohio in the early '80s to make it big (still waiting...). We broke up as a band in the late '80s, but stayed friends and saw each other for Red Sox games, Easter Egg hunts, and the occasional reunion show, most recently at our 2016 Findlay High School reunion when Bill was already diagnosed. Here's a clip of Bill singing his signature version of "Heard It Through the Grapevine" with Loose Ties circa 1987 set to some favorite pix. Hope you enjoy it - we certainly had fun playing it, and all the other tunes, but mostly we had fun just hanging out, bouncing Monty Python quotes off each other, and watching, and participating in, the parade that is life. Too soon gone, Bill Fabulous. Til we meet again.